Here in Italy it’s difficult to escape the hype for the Next Gen ATP Finals, to be held Nov. 7-11 in Milan. Billboards, TV commercials and breathless press releases relentlessly plug the event. 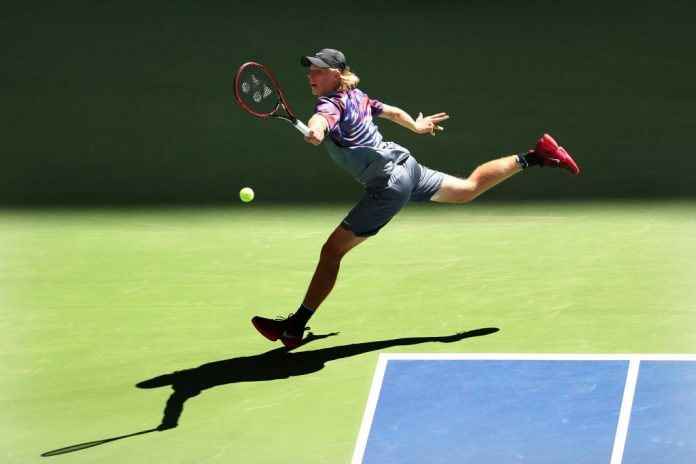 In a round robin exhibition, the seven top-ranked players (plus an Italian qualifier), all age 21 or younger, will compete for over a million dollars in prize money and the unofficial title as the face of tennis’ future. Unfortunately, a lot of helium leaked out of the balloon when Sasha Zverev of Germany declined to participate. Now ranked fourth on the ATP computer, Zverev decided to spend the week preparing for the World Tour Finals in London. This leaves Milan without a marquee player – unless Hyeon Chung or Andrey Rublev are your idea of headliners. But the event still holds fascination for fans who wonder what the game might look like in coming generations. To speed up play, ramp up excitement and cut down on dead TV airtime, the rules in Milan have been drastically revised. This starts with the warm-up which will be strictly limited to five minutes. A shot clock, long advocated by reformers fed up with players stalling, toweling off, and preening for the crowd between points, will enforce the 25-second rule. And there will be a maximum of one medical time out per player per match. Let-serves won’t be replayed; the point will proceed as it does not whenever the ball touches the net during ground-stroke exchanges. In theory these changes will make matches not just faster, but more thrilling and less predictable. On the women’s tour, coaches already have the right to come on court and counsel their clients. The ATP remains unwilling to go that far. But in Milan, players will get to communicate with their coaches through earphones, thus eliminating the ridiculous hand signals, code words and operatic choreography now emanating from courtside entourages. The chair umpire will be the lone official on court. The lines will be called electronically, with an automatic voice saying “out,” or in the case of serves “fault.” Presumably, this will consign video replays to history’s trash bin, taking with them many minutes of dillydallying during matches. The most drastic changes – and certainly the most controversial – will affect the scoring system at the Next Gen Finals. Some suspect/fear this might serve as rehearsal for a shake-up at regular tournaments in the future. All matches in Milan will be three out of five sets. But – and it’s an enormous “but” – each set will go to the player who wins four games first, and with no-ad scoring, deuce games will conclude with a “killer” point. At three games apiece, a seven-point tie-break kicks in. Again, the idea is to quicken the pace, increase the number of big points, and generally make the game more spectacular and TV friendly. For an analogy, one might imagine if the count in baseball started at 3-2 or if football consisted exclusively of a series of sudden-death overtimes. Some in Italy have already gone on record against these rule changes, essentially asking “If it ain’t broke, why fix it?” Nicola Pietrangeli, the greatest player in the nation’s history, a two-time French Open Champion, responded with a world-weary wisecrack: “Certainly players will play less and earn more money.” But Sergio Palmieri, the director of the Next Gen ATP Finals, recalled that the introduction of the tie-break in 1970 prompted similar harrumphing from traditionalists. He advised waiting to see how things work out in Milan, sagely observing, “Before that there’s nothing to say, so don’t say anything.” Stay tuned for a post-event report. Michael Mewshaw is the author of Ad In Ad Out, a collection of his writing on tennis, now available as an e-book.